Um, I haven't exactly finished the list, but I will. And the best thing about it is that 3/5 reads are all great books I'm really glad I read and I expect I'll feel the same about the last two. I decided to do the same thing this year but then I saw on Chris's blog that he and Debi were swapping books to read and I thought...what a brilliant idea! I asked on Twitter if anyone would do this with me and Hannah of Wordlily said yes. She was really the perfect person because we have spent a lot of time talking about books and what we like and what we wish we saw more of and we even worked on the Inspys together to help nudge publishers in the direction of what we'd like to see. So the deal is this...we each chose five books for ourselves and five books for each other. Additionally, we'll be reading Lilith by George MacDonald (huge leap of faith for me) together. 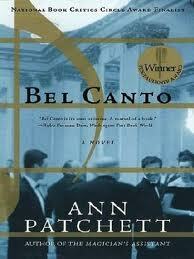 Bel Canto by Ann Patchett first came to my attention, I believe, via Dawn of She is Too Fond of Books. I've been meaning to read it for a long time and haven't, and next year will be the year! I'm looking forward to it because so many people have differing opinions on it. 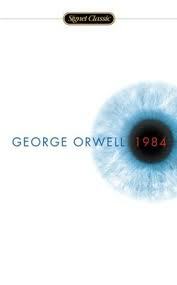 1984 by George Orwell is a classic dystopian novel I've both never read and often see referenced. It's about time I read this one. 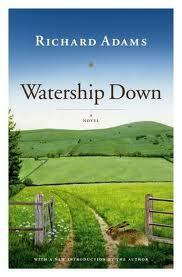 Watership Down by Richard Adams has been on my LOST reading list for ages. It's also been recommended by Andrew Peterson. If I don't make it a priority, I'm likely to let it continue to languish in the TBR pile. Andrew Peterson strikes again! 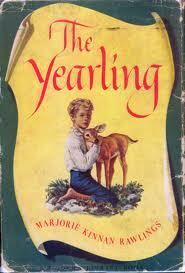 He reviewed this book and the review was so breathtakingly beautiful I knew I had to read this classic children's book. Then I started seeing a bunch of other people say good things about it...so I put it on this year's list. 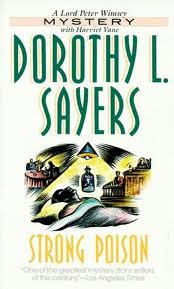 Strong Poison by Dorothy Sayers I am really excited to read because everyone has been raving Dorothy Sayers for awhile. I've been wanting to read her so I'm excited about this choice. 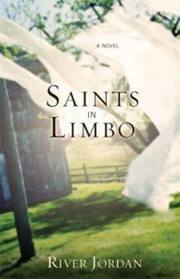 Saints in Limbo by River Jordan is a book Hannah has raved about for awhile. I do already own it so I'm excited to finally get to it! 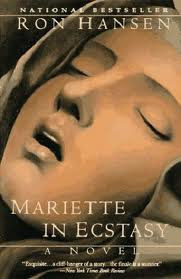 Mariette in Ecstasy by Ron Hansen is a book that was referenced a lot in Wounded by Claudia Mair Burney a book that both Hannah and I read this year and loved. I hadn't read this one in particular, so I'm excited to get the chance to do so. It has already arrived from Paperbackswap and I'm looking forward to it! 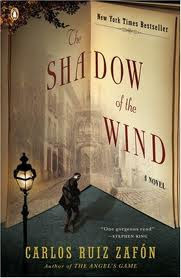 The Shadow of the Wind by Carlos Ruiz Zafon is a book many bloggers certainly seem to love so I look forward to the chance to read it. I sincerely hope it's better than The Prince of Mist! A Prayer for Owen Meany by John Irving is a book many many people have told me I should read, so good for Hannah for making sure I do! 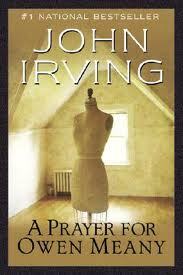 I suppose I should read a book by John Irving after all! The Hunger Games by Suzanne Collins--she hasn't read this! She's a little scared to, but I hope she loves it and values just like she did with Buffy! :) Anyway, The Hunger Games trilogy are among my favorite books so I will continue to evangelize where need be, to the ends of the earth. Songbird by Lisa Samson--Lisa Samson is one of my favorite authors for so many reasons. Songbird is one of the books I feel is a must read from her early career. (which I separate as before and after Quaker Summer). I love for ever and always the great humanity Samson brings to all of her characters. 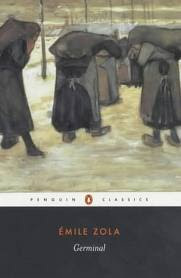 Jane Eyre by Charlotte Bronte--a classic and one of my favorite books! A Great Deliverance by Elizabeth George--Elizabeth George's Inspector Lynley series is one of my favorite mystery series (I am a few books behind) I know Hannah loves mysteries which is why I chose this one for her. The Bone Garden by Tess Gerritsen--another of my favorite mystery/crime writers, I really loved this book and I think Hannah might like it, too! In addition, we are planning to read Lilith by George MacDonald together. The Adventures of Huckleberry Finn by Mark Twain. I loved this book when I first read it, but I often see book bloggers have a negative reaction to it so I'd like to reread it and see if I still enjoy it as much as I did the first time. That's it! You should head over to Hannah's blog though...she picked some REALLY hard books for herself! Makes me a like a bit of a cheater for having The Yearling on my list! Have you read any of the books on my lists? Did I choose well for Hannah?